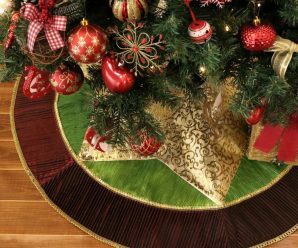 Christmas Advent Calendar is one of the most joyful way to wait for Christmas. 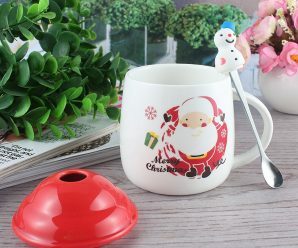 It is a countdown to Christmas celebration which brings a surprise everyday. Generally, advent calendars start from 1st December till Christmas. 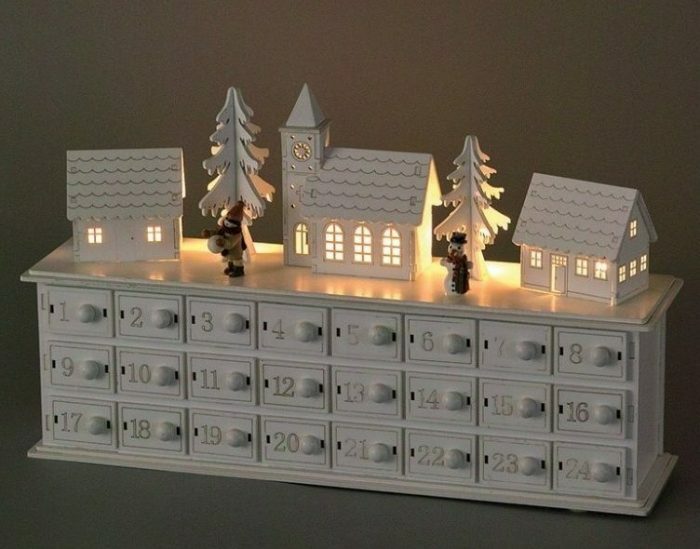 Advent calendar have multiple drawers in which you can place a small treat for your kids. You can put coins, treats, notes, toy, candy or any other surprises you want in the twenty-four drawers. It is a special holiday activity which children will remember for a lifetime. We collected some unique Christmas Advent Calendar here which are in different shapes, patterns, styles. Most of them are made of wood and promise a longer life (means can be used next year as well). Have a look! 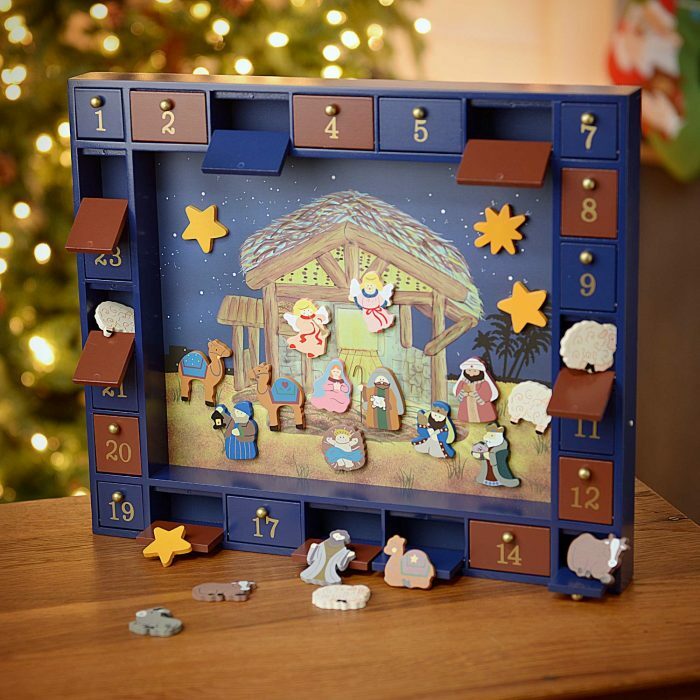 You can get these Christmas Advent Calendar from Amazon at reasonable price. 1. Magnetic Nativity Advent Calendar: Magnetic Nativity Advent Calendar allows children to design their own nativity scene over the course of the month. 2. Shark Designed Advent Calendar: This charming, interactive advent calendar heralds the approaching holidays with animals from Noah’s menagerie. 3. 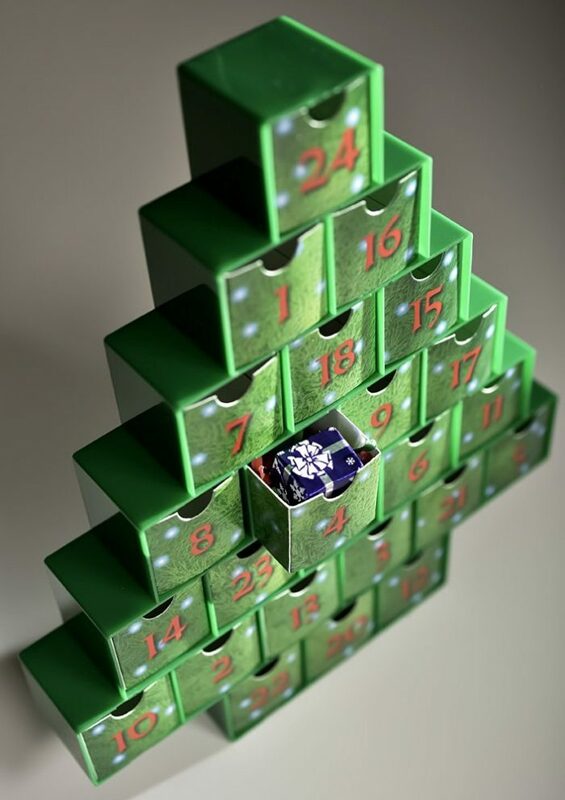 Lighted Enchanting Advent Calendar: An enchanting family heirloom you’ll bring out every Christmas. Inside the workshop are Santa, his sleigh, elves, a fireplace, furniture, presents and more. 4. Santa on a Sleigh Advent Calendar: Santa on a Sleigh Advent Calendar is a fun, festive way to count down the days throughout Advent until Christmas Day. 5. 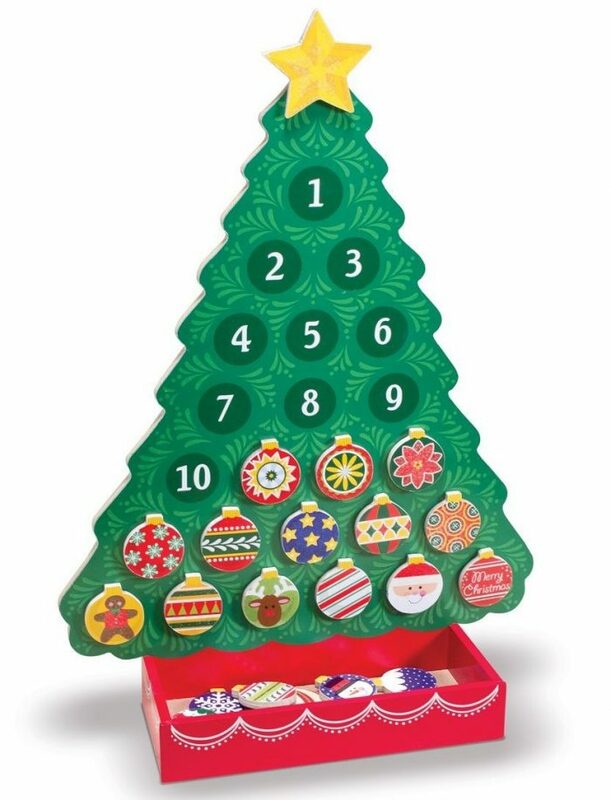 Toys Christmas Tree Advent Calendar: This is a wonderful way to countdown to your favorite holiday. 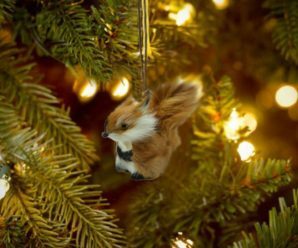 Each day lift up the little door to reveal the ornament for that holiday, and then hang it on the tree. 6. 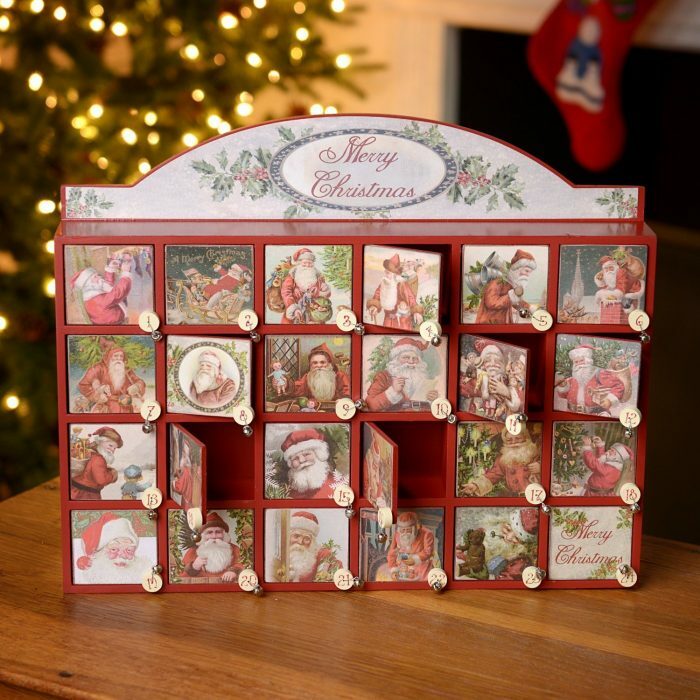 Wall Mount Advent Calendar: Wall Mount Advent Calendar will bring your family countless memories. 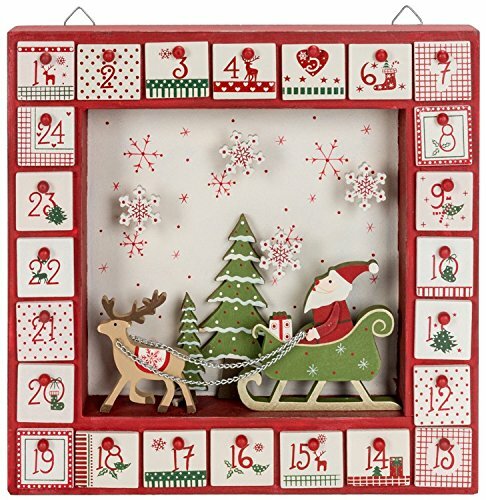 Made of sturdy wood with a beautiful red paint finish, this advent calendar captures the spirit of the season. 7. 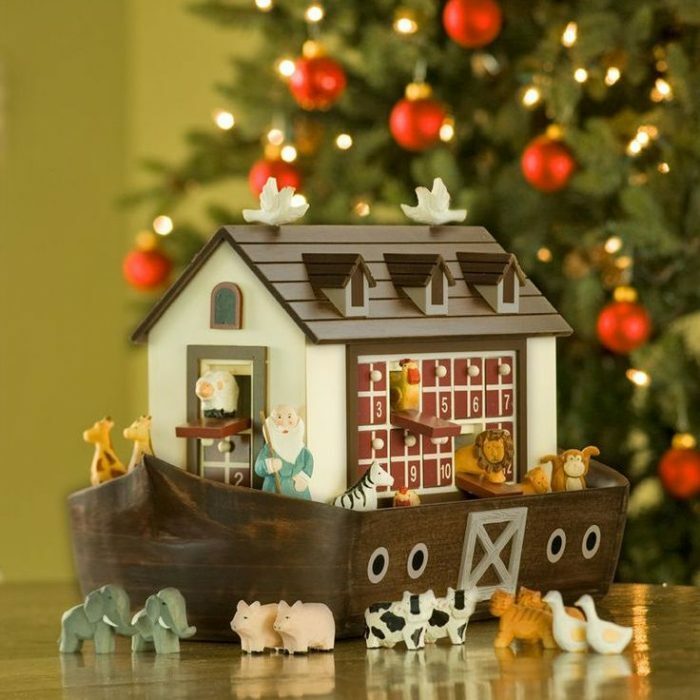 Treasure Box Advent Calendar: Count down to Christmas with this unique “Treasure Box” Advent calendar. Place a delicious treat, fun gift or thoughtful message in each of the 24 drawers. 8. 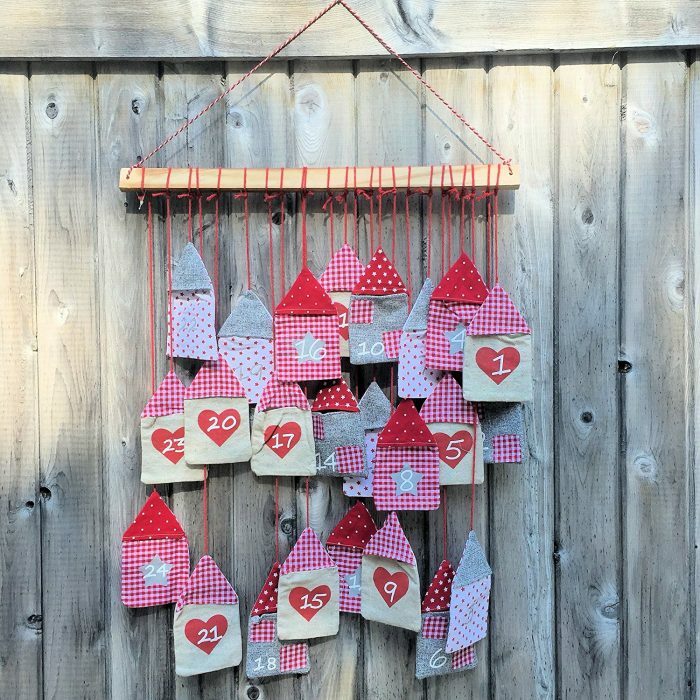 Santa Sacks Wall Hanging Calendar: Celebrate the excitement in a child’s eyes when discovering this rustic Christmas Countdown Advent Calendar that features 24 hanging Santa Sacks. 9. 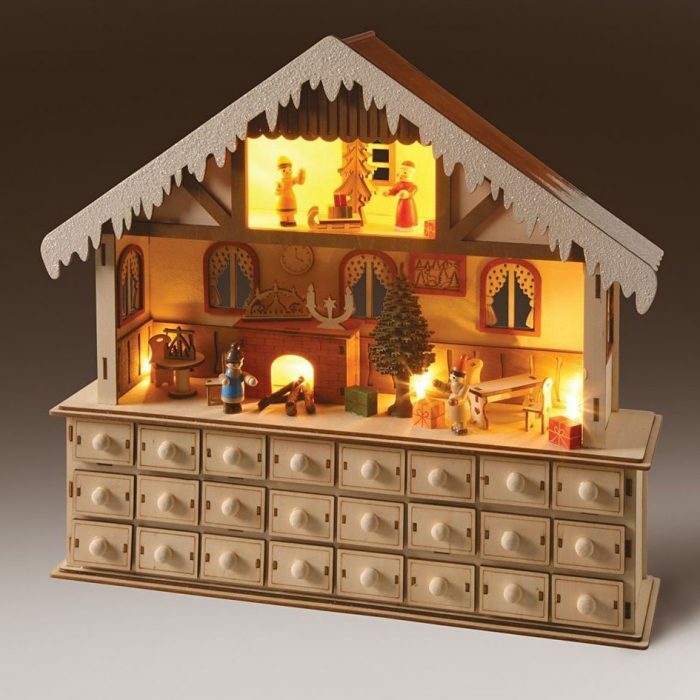 Winter Town Scence Advent Calendar: This wooden advent calendar with drawers design features a German/Nordic winter town scene and captures the Christmas holiday spirit. 10. 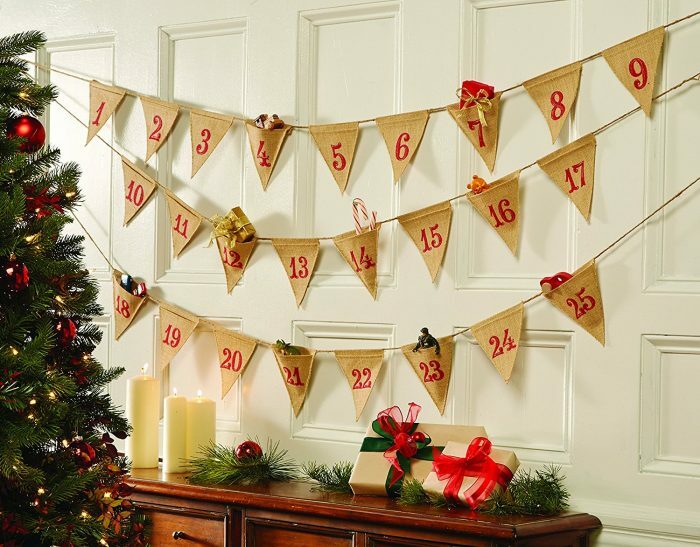 Burlap Advent Calendar: Burlap advent calendar Garland counts down the days until Christmas. Separate hanging banners feature pockets at top of each number to hold and display treats or notes. 11. 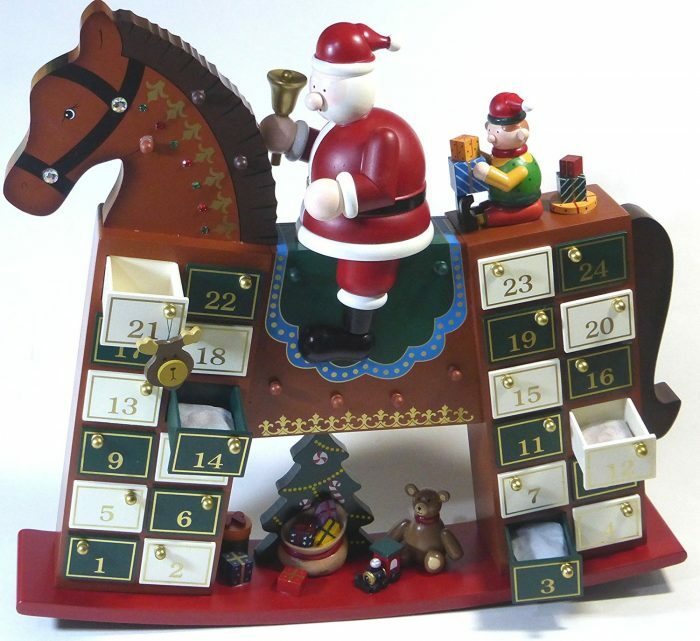 Rocking Horse Advent Calendar: Rocking Horse with Santa and Elf. 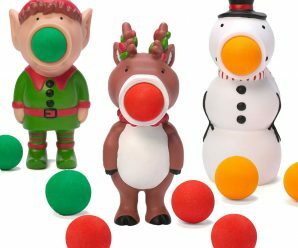 Includes 24 hanging ornaments to count down the days to Christmas. Drawers store ornaments until ready to use. 12. 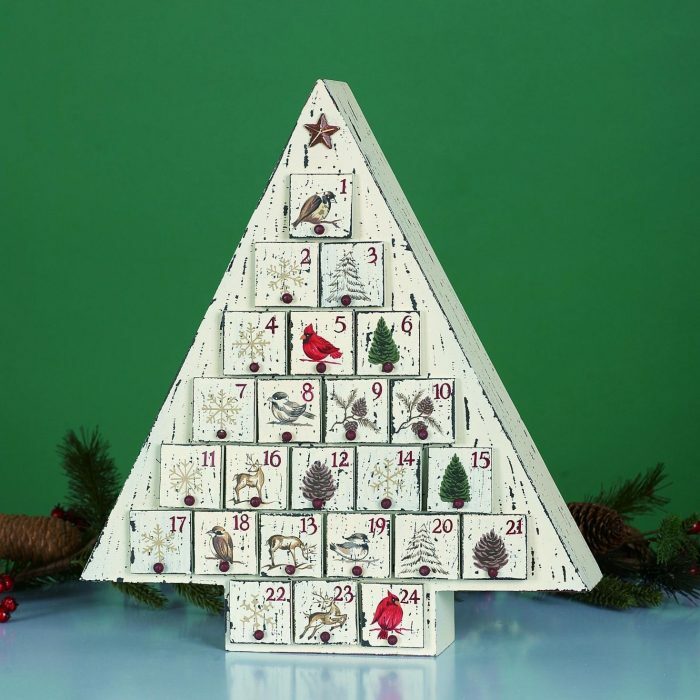 White Wood Holiday Tree Advent Calendar: Beautiful white wood advent tree countdown calendar with functional drawers and red base. Children and the whole family will treasure this advent tree for years to come. 13. Shadow Box with Drawers Advent Calendar: Use your own creativity and embellishments to turn this chest of drawers into a beautiful piece for your home or office. 14. 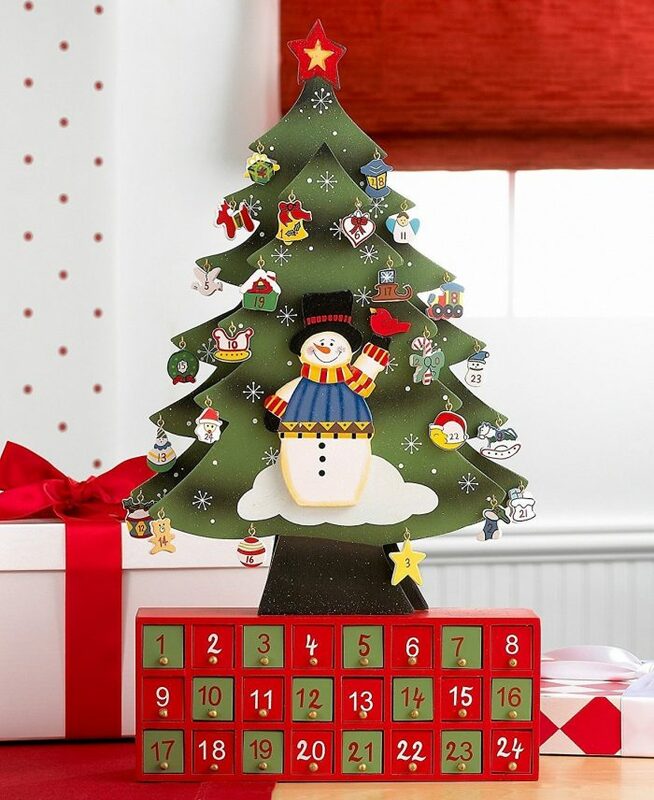 Magnetic Wooden Tree Calendar: Magnetic Wooden Tree Calendar includes magnetic wooden tree, 24 magnetic ornaments, and 1 shining star for the top of the tree. 15. 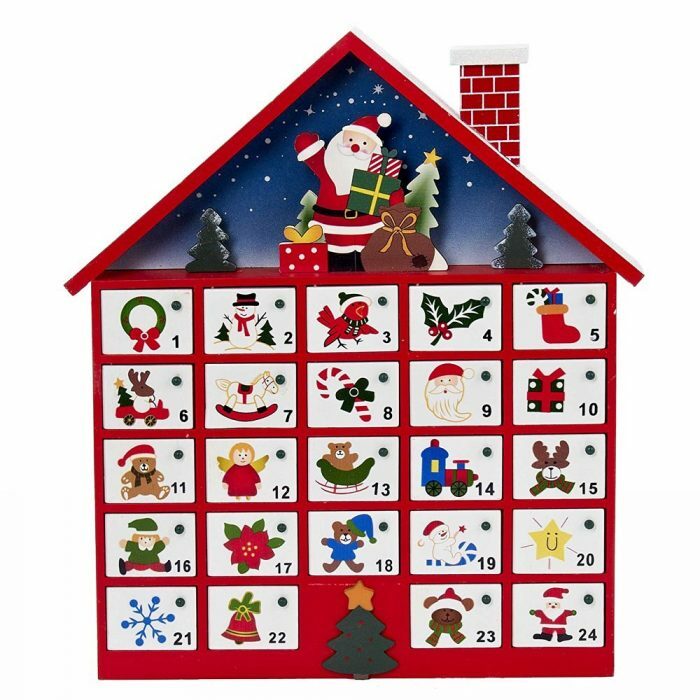 Santa House Advent Calendar: Santa House Advent Calendar is a fun and festive addition to any holiday decor. 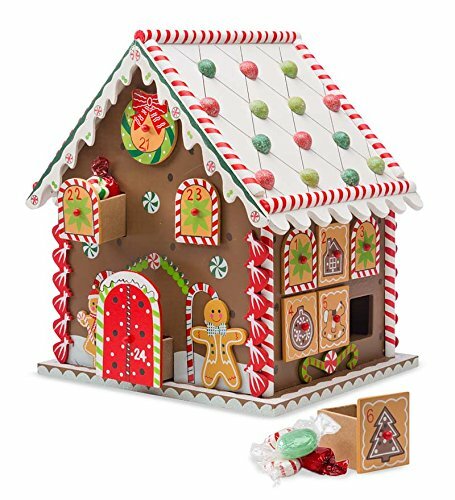 its classic design resembles a house and features 24 tiny doors, which you can reveal as you count down the days until Christmas. 16. 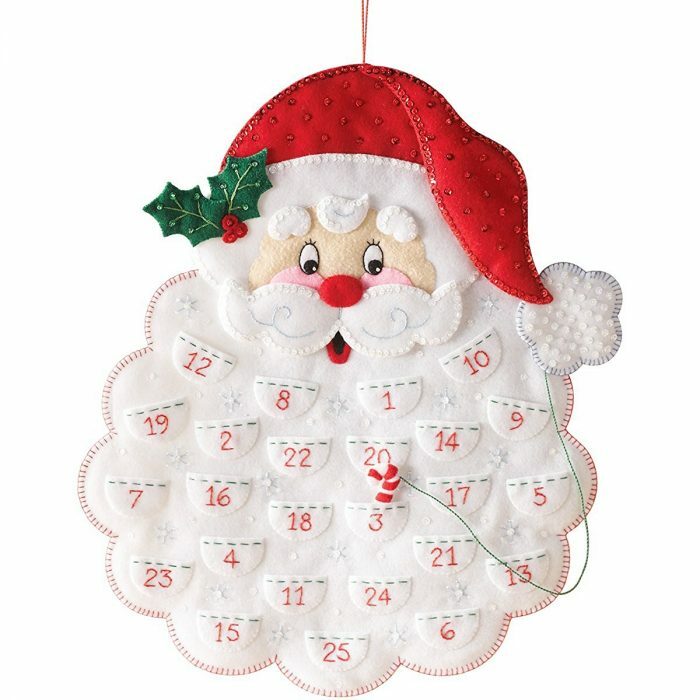 Santa Wall Hanging Calendar: Santa Wall Hanging Calendar Kit contains stamped felt cotton floss metallic thread color separated sequins and beads needles and trilingual. 17. Felt Applique Advent Calendar: Felt applique Must Be Santa Advent Calendar kit. Kit includes stamped felt, embroidery floss, sequins, beads, needles and trilingual instructions. 18. 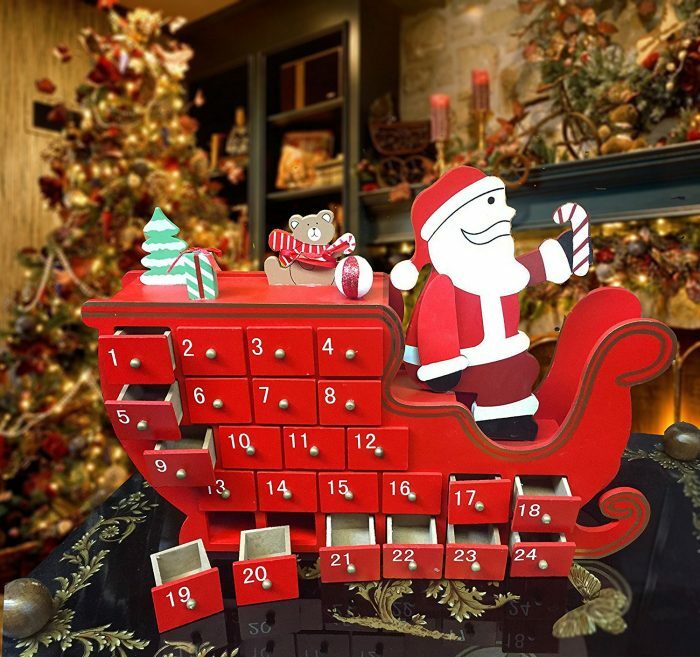 Santa & Sleigh in Shadow Box Calendar: Celebrate your Christmas with this Wooden Advent Calender which is embellished with tiny metal balls on each door and fill it with any treat you wish. 19. 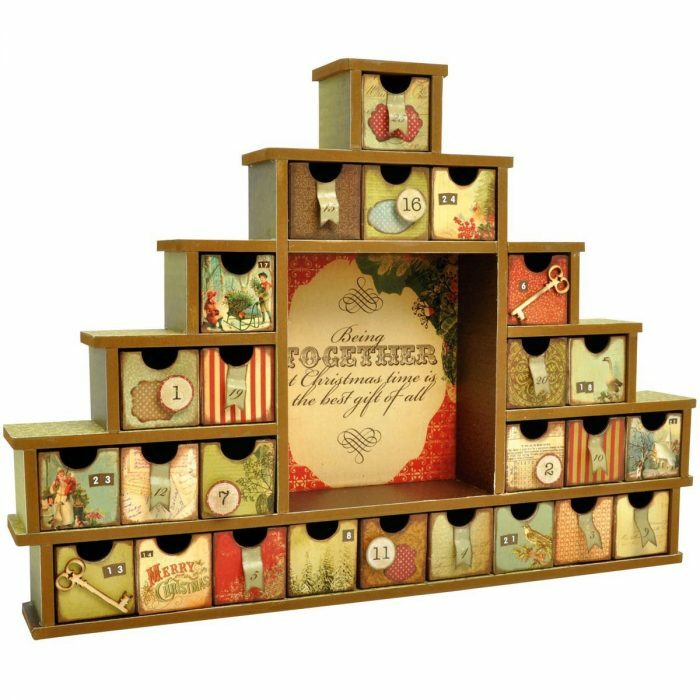 Festive Wooden House Calendar: Festive Wooden House Calendar includes 24 interchangeable wooden drawers for hiding tempting treats or notes or teeny toys for your kids.